UFO SIGHTINGS DAILY: Past UFO Sightings By Astronauts In Their Own Words, Dec 2017, UFO Sighting News. 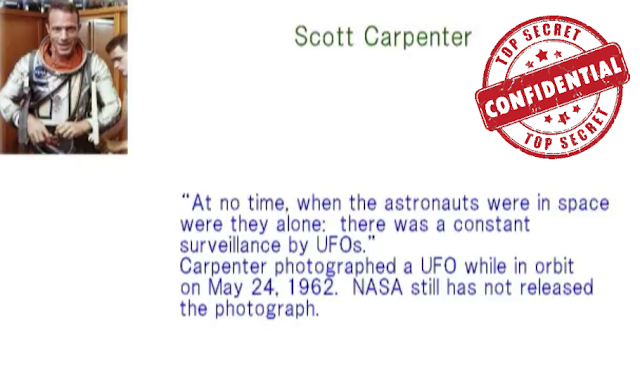 Here is an educational video that teaches us about past astronaut UFO sightings, their words, their thoughts, and how NASA handles the evidence that the astronauts turn over to them (photos). The evidence always is never seen again. Watch this video about cosmonaut Victor Afanasyev, astronauts Neil Armstrong, Scott Carpenter, Eugene Cerman. Its very informative.